Did we ever get a finalized official Yeartext for 2019? 3. 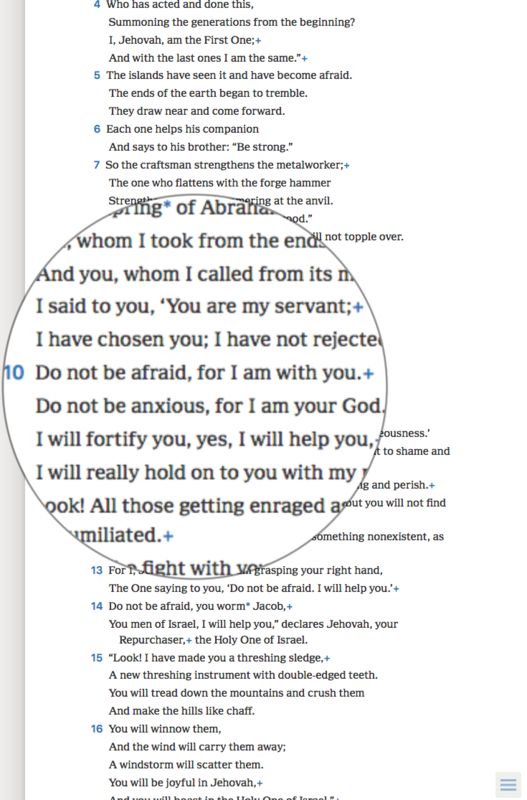 (a) What promises are found at Isaiah 41:10, the yeartext selected for 2019? (b) Why do we need the assurances that these promises give us? 3 In this article, we will focus on three of Jehovah’s faith-building promises recorded at Isaiah 41:10: (1) Jehovah will be with us, (2) he is our God, and (3) he will help us. We need these assurances *because, like Yoshiko, we face trials in life. We must also deal with pressures from world conditions. Some of us are even enduring persecution from powerful governments. Let us consider the three assurances one at a time.